1916 Silver Half Dollars Escape German Capture! 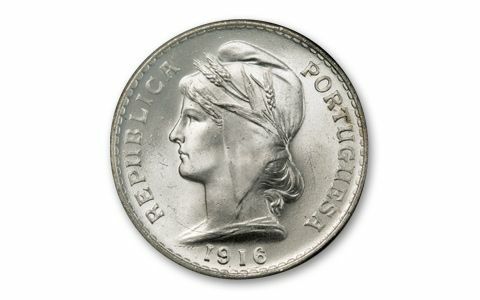 When Germany declared war on Portugal in 1916, fear swept across the tiny country. Would the Germans invade? No one knew for certain, but one cautious man fled the country with a hoard of fresh new 1916 Silver 50 Centavo Half Dollars. 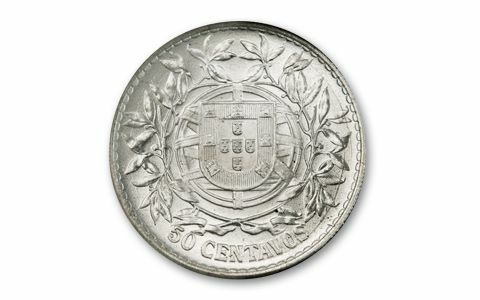 Struck in 83.5% silver, they were the last silver 50 centavos ever struck by Portugal. 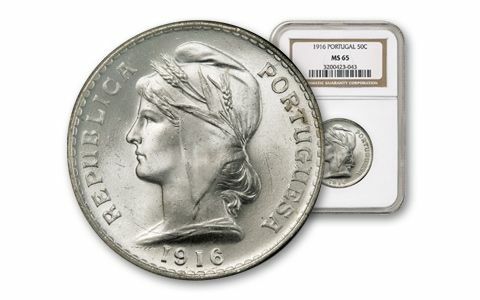 They appeared recently at a coin show in Tokyo and we snapped up every one. 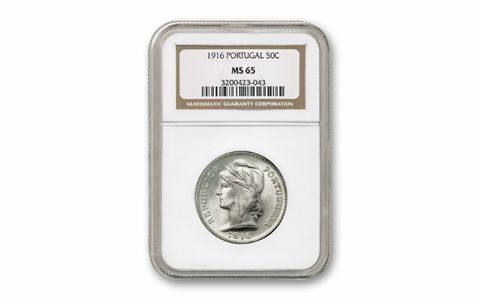 Each coin is in pristine condition, just as it left the mint, and is graded by Numismatic Guaranty Corporation (NGC) in Mint State-65 (MS65) condition. Capture this one-time opportunity yourself!